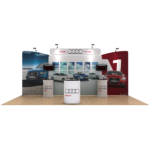 Our 20′ Nline dual monitor display package is the ideal solution to maximize attention to your brand by combining our signature 20’ hybrid modular design with areas on both sides to support an LED monitor! 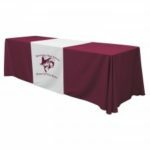 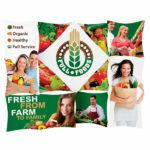 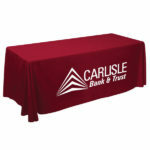 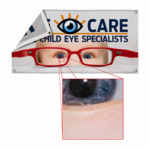 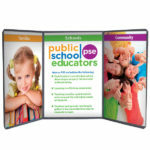 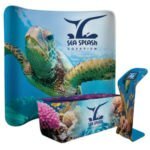 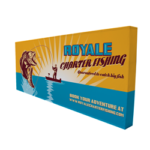 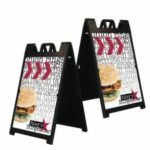 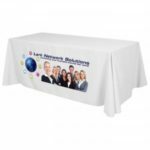 All of our Nline displays utilize user-friendly flexibility with a durable yet sleek frame design – ensuring that there is no better way to show off our custom printed high-definition dye-sub fabric graphic prints! 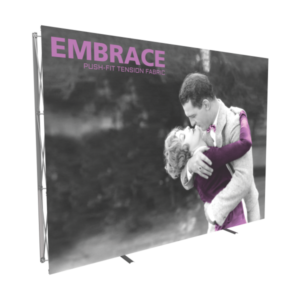 The 2 monitor mounts that come with this package can each support a 30″-50″ monitor (monitors not included). 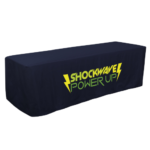 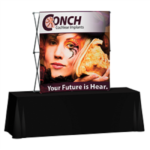 Also included in this trade show package are 2 custom back printed acrylic headers, 4 LED lamps, and 2 40″ wave tube counters! 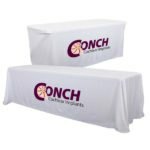 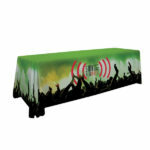 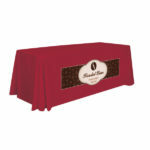 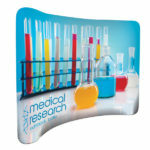 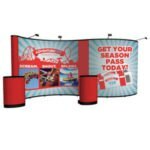 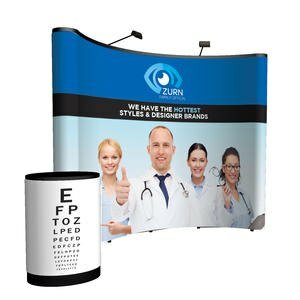 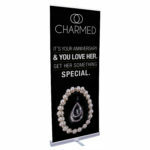 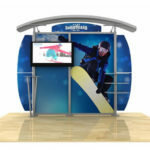 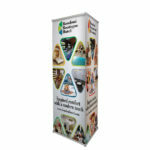 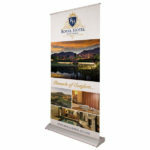 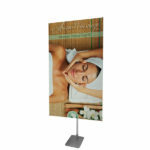 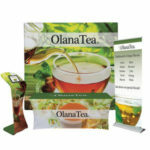 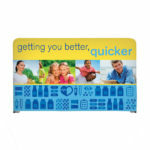 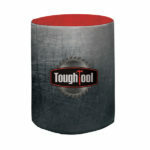 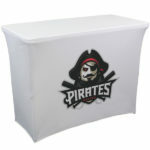 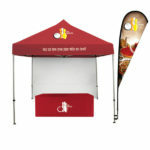 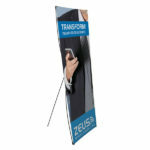 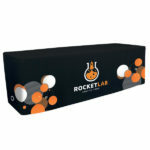 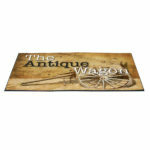 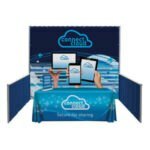 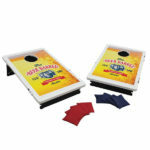 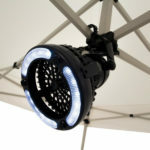 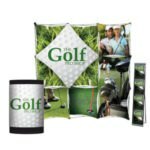 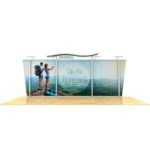 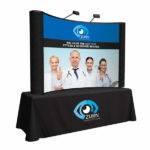 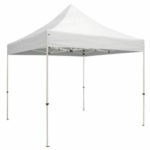 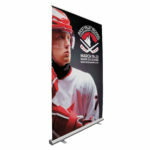 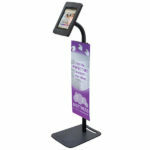 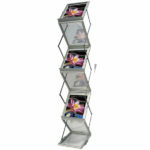 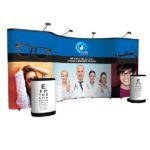 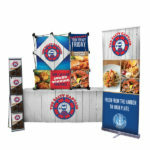 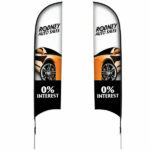 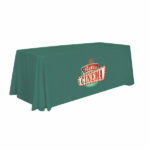 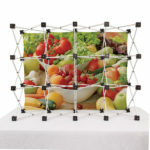 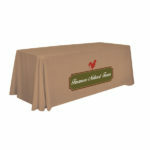 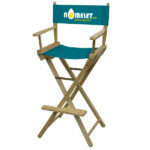 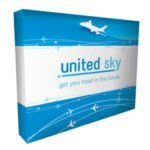 Our Nline trade show displays are the undisputed choice to maximize your booth’s attention! 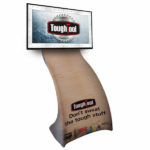 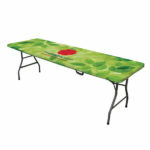 (2) Vesa compatible large monitor mount-supports up to a 50" LCD screen.Not to exceed 50lbs.